A stunning 2-bedroom house is available to rent in central Ballsbridge. The property has a gorgeous living room with an incredible fireplace, where you can relax beside the fire on the cosy couch after a long day. The open-plan kitchen has everything you'll need to cook up a storm, while both bedrooms are stylish and well-furnished with double beds. The property has 1 full bathroom, where you'll find a big, luxurious bathtub. You'll be living in Ballsbridge, a lively and well-connected neighbourhood in central Dublin. You'll have it all around here-- restaurants, pubs, cafes, supermarkets, parks, and shops are on every corner near the property. And, with Grand Canal Dock Station just a short walk from your doorstep, you'll never be far from anything in Dublin! You'll be living in central Ballsbridge! The property is stylish and modern. 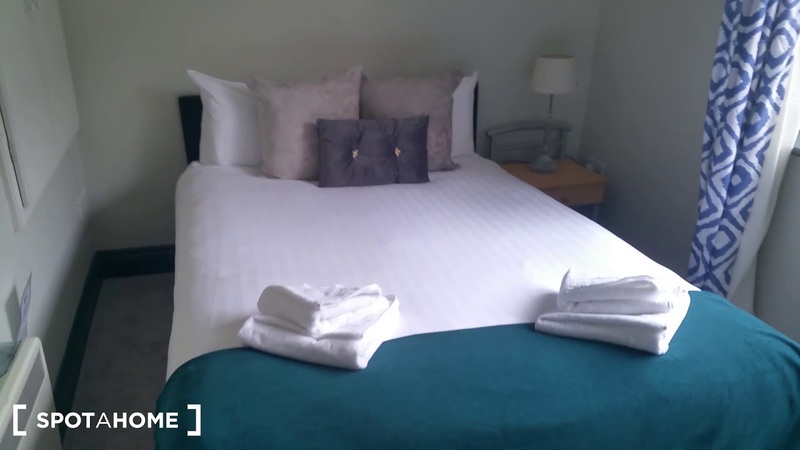 Both bedrooms are well-furnished with cosy double beds. A commuter train station is nearby the property. The property is a 9-minute walk from Grand Canal Dock Station.